Larmann Financial has been in the business of helping both large and small businesses provide effective retirement plans to their employees since 1959. 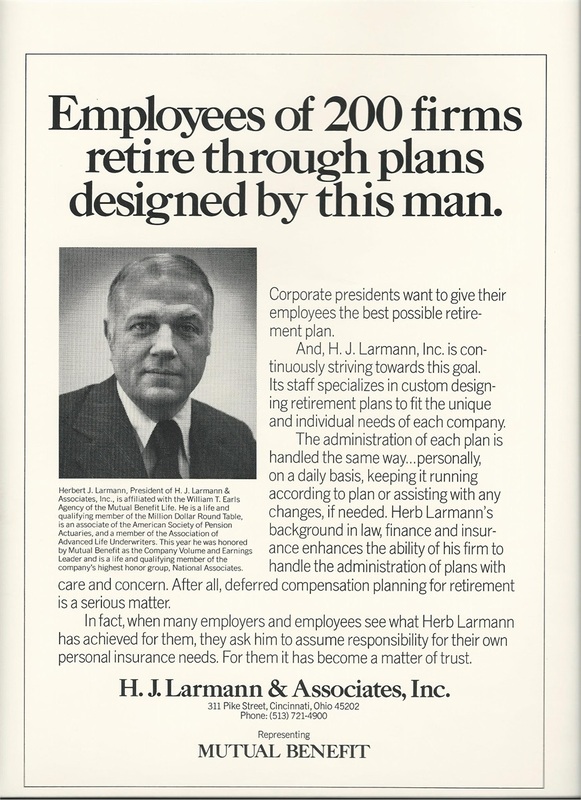 Our founder, Herbert Larmann, was recognized by Mutual Benefit in The Wall Street Journal on May 27, 1975 for his efforts (A copy of the article is shown below). Matthew Larmann, current President of Larmann Financial, carries on the tradition of care, concern and trust today.